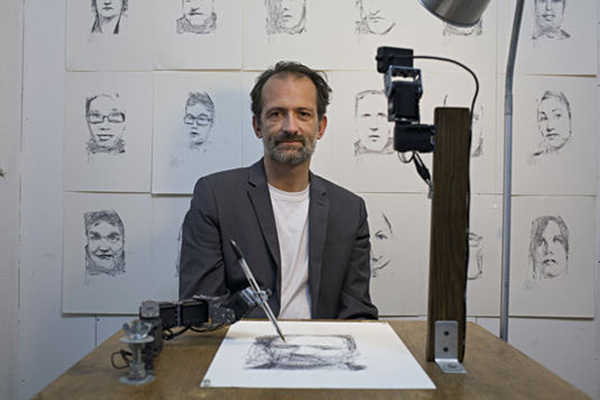 In 2015, London artist Patrick Tresset presented an installation in Brussels called, 5 Robots Named Paul. The performance involved five school desk set-ups, each affixed with a clamp lamp, video camera, sheet of paper, and a robotic arm holding a ballpoint pen. A sitter could then have her portrait drawn by what appeared to be a robot, anthropomorphized by wobbly penmanship and webcam eyes studying her face. In reality, the video and the robotic arm were never connected — the drawings were made by a computer from a single photo taken at the beginning of the session. The first group of sitters stayed in the room while the robots drew. The second group were shown the drawings later and told that robots drew them. The third group were shown just the drawings and given no information. Afterwards, everyone was handed a questionnaire. 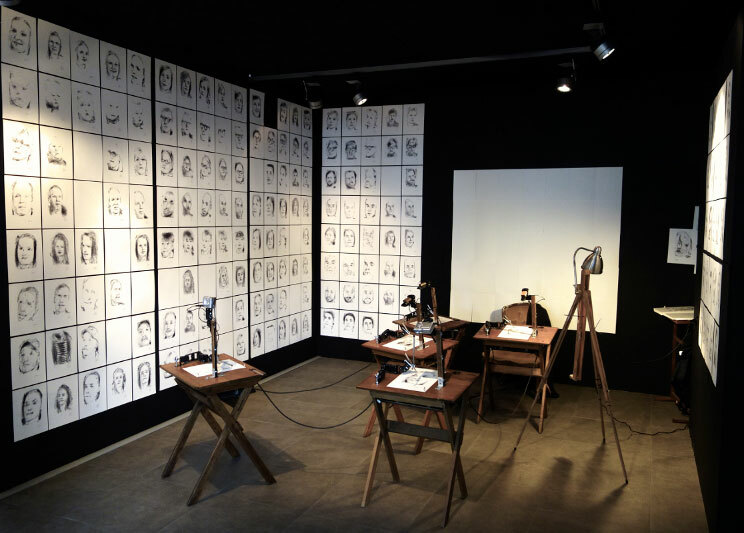 The results showed that the participants who witnessed the robots producing their portraits had the most positive response to the artwork. Connection to the maker, it seems, was the key to feeling invested in any artist’s output. Esoterica: When trying to explain what qualifies as art today, even in our most advanced technological times, we might still simply use the word “heart.” In 1873, German philosopher Robert Vischer invented the term “Einfühlung” or “aesthetic sympathy,” later translated in English as “empathy.” Empathy is created between two beings: in the case of art, a maker and a viewer. Vischer posited that even in static works like architecture and painting, viewers “move in and with the forms,” triggering what he called “muscular empathy.” Think of when your leg jerks while watching a ballerina take a leap across the stage. 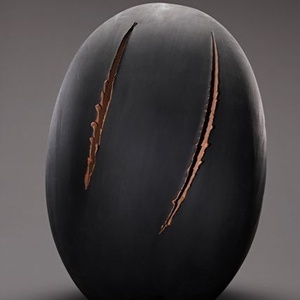 Studies have shown that when people look at Lucio Fontana’s slashed colourfields, their motor and premotor cortexes quiver. We understand the slashing. We also all know the heart-jerk that happens when we’re eyeballing the art-marks of a personal hero. It is perhaps, the most primal and uniquely human of activities. Thankfully we have not yet been taken over by Robots. Hands Down Handmade Art Rules! This is a fascinating example of how creativity helps overcome sadness, depression and loneliness. Glad that this art is a path through it, not only for the artist but the viewers that it captivates. Thanks for the story Sara. Gulp….I’m not sure how I feel about this. Creating the robot? Yes…an amazing sideways movement to deal with damage….however it does distress me to feel that the artificial makes us obsolete. How to make one feel even less relevant in an already isolating world? As an example of shipping sands under our feet, I think a point here is about learning to understand what we choose to look at. We have to be critical and not just believe everything we have tossed at us, but yet find the funny stuff funny. Don’t worry! Could a love making machine replace a beloved? That’s an interesting question, Bobbie. Not long ago I watched a movie – Marjorie Prime – whereby a hallographic image of a beloved deceased person (there were several throughout the movie) was able to be projected into the home of that person. Although able to converse with the mourner, the hallogram had no ‘memory’ of the relationship the two had together. It was absolutely fascinating. That made me think that such technology might help with the grieving process. Or not. So perhaps anything is possible in the imagination and in reality, robots notwithstanding. Love your comments. Sooo true. Still … those sketches are pretty cool. I think Tresser is still the artist. He’s just created a new medium. Depression can do that for an artist. You think you are giving up, but the giving up turns out to be a new creation. 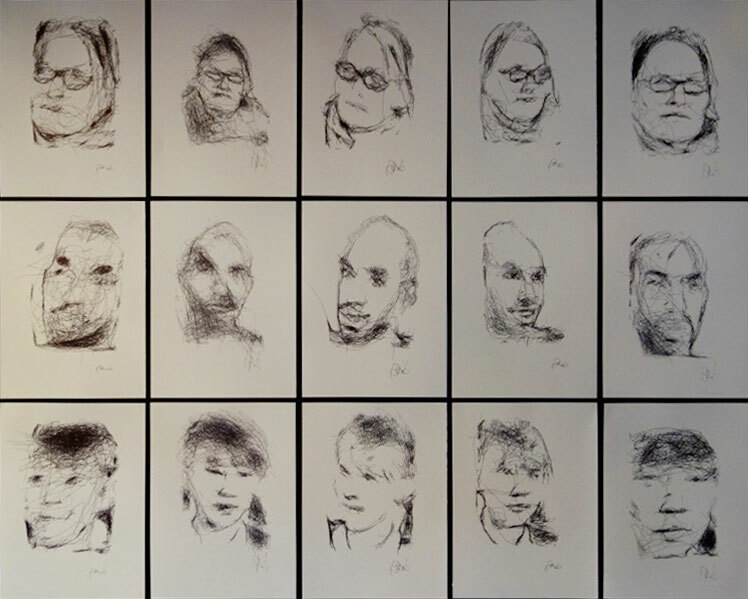 The TRACE exhibit just closed last month at the Anvil Centre in New Westminster https://anvilcentre.com/events/trace/ It was fascinating to see the robotic arms draw the portraits. Sittings were completely booked well in advance for the 2-month installation. As long as they aren’t Russian bots I think this is wonderful. It’s surely is fun to play around with robots and computers; and maybe as Warren Criswell said above, “he’s just created a new medium”. However when it comes to painting,sketching, pottery, needlework, woodwork, mixed media creations, welding, (like J. Bruce Wilcox, I probably left something out) knowing that a real live person created with their own hands, mind and dreams warms my heart and soul. The robot is a tool – had to be invented, built programmed, and as any tool, has both possibilities and limitations, as do all other tools. I’m fascinated! Thank you so much, guys. I’m Jo, artist, writer, traveller, wild west nut and renaissance soul, and I’ve recovered completely from thirty years of depression and anxiety, and I totałly understand where the artist is coming from! I found it very hard to make art during depression, but I could write, so I’m currently editing the humungous novel I wrote throughout depression. But I’m now also creating art again, which I’m really pleased about. Thank you so much for your newsletters. Fascinating subjects! 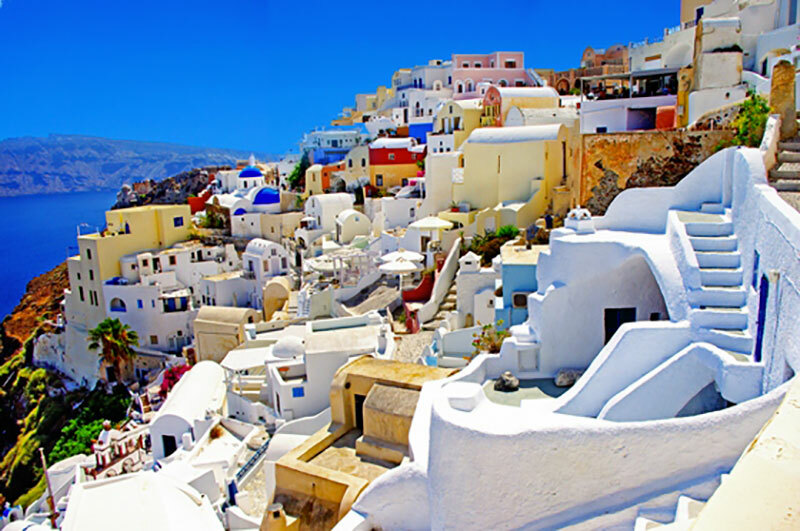 Creating My Odyssey – Liberating the Real Me After Thirty Years Of Depression and Anxiety. While any endeavor that fights depression and PTSD is more than worthwhile, and as a bearer of such I am fully aware, nonetheless much of which now passes for art is perhaps a reflection of the shallowness of the human endeavor in our ‘present history’; the latter a term that reflects how swiftly in our present world does the present become the past. That “people are still standing in art galleries, following their noses around the archaic technology of the human hand” may perhaps indicate a fond recall for the times when the creation of art was an enormous challenge and its finalization the result of the manipulation to create such being done by masterful hands and not computer programming. 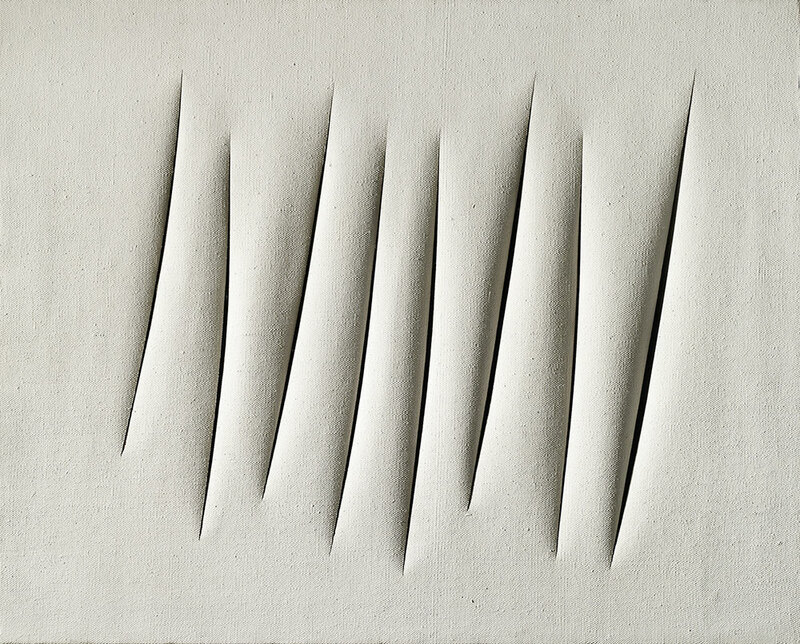 Do Fontana’s slashings reflect less a fundamental human understanding than they do well-marketed con art? At the age of five, I was a master at installation art until my mother told me I had to make my bed before I could go out and play. Too bad, I might have ended up winning the 1999 Turner Prize. What is neglected here is art made by non-human animals, such as elephants, and in particular the amazing paintings made by dogs. If art was once seen as a uniquely human activity, the primary news where it has deviated from that should be this. Thanks again, Sara for a very interesting letter! I like that the recent study you mentioned, found that viewers liked the art, more, when they had some connection with the artist. I think that is true. And the quote from Oscar Wilde, “Art is the most intense mode of individualism that the world has known.” So true. Probably most of us who create, are very individualistic. And Patrick Tresset proves the point, with his “5 Robots Named Paul”. And I’m not a robots type person. Not really. But I like how he turned something difficult around, into something positive! 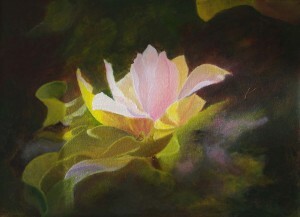 I am a self taught artist, I work in oil, Acrylic and watercolour also in Pastels. Started painting In Ashcroft with Mr. Campbell. I taught my self how to paint by studying professional artists’ work through reading, TV programs, educational DVD and work shops.